Polartec, a premium provider of innovative textile solutions, will be exhibiting at Premiere Vision in Paris for the first time this year. The global trade show for fashion professionals is a major opportunity for the American company to champion tech casual, the company reports. Polartec believes fabrics need to be enabled so they perform to our expectations without any comfort or fashion sacrificed. “Whether fashion designers want to design garments to keep the wearer safe, dry, cool or warm, Polartec has the answer. That’s because of our willingness to work with designers in a collaborative process to create bespoke solutions that offer high performance together with style,” continued Smith. Polartec is a leading technical fabric design and manufacturing company. As the inventor of fleece fabric back in 1981, the company understands the impact innovation can have on the industry. Now Polartec has a portfolio of more than 300 state-of-the-art different fabrics each offering their own unique capabilities. 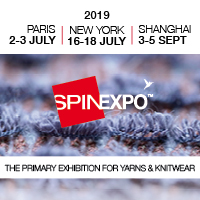 At Premiere Vision, the company joins hundreds of other brands and manufacturers from six major industries – yarns, fabrics, leather, design, accessories and manufacturing – to showcase its advanced performance textiles.